WOOSTER, Ohio, — Beef roasts could become the centerpiece of more holiday meals, if only consumers could get more comfortable with cooking them. That's according to a study by the Certified Angus Beef brand, using Toluna AutomateSurvey online. "Most consumers say turkey and ham are appropriate holiday traditions, but more than 40 percent say they're looking to try something new this year," said Emily Whiting, CAB assistant director of research and account marketing. "Holiday hosts have a chance to wow their guests." 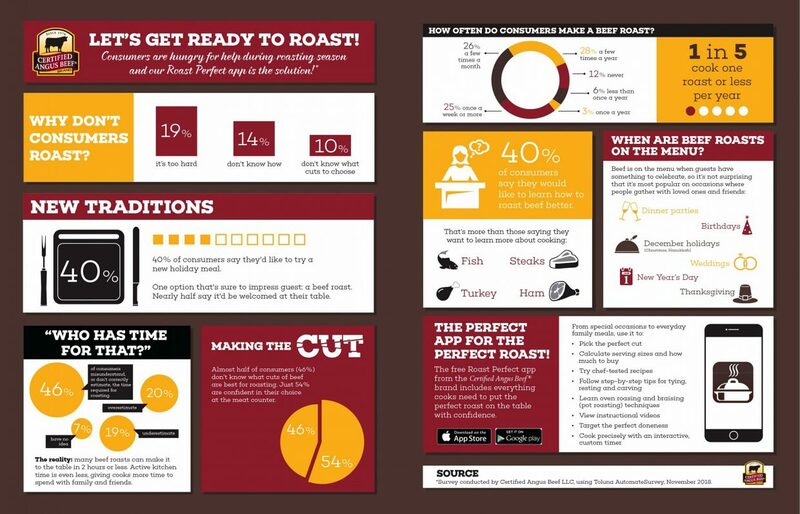 Four in 10 people polled said they'd like to learn how to roast more effectively. They view a beef roast as the king of holiday parties and festivities. But it's just so darn intimidating. 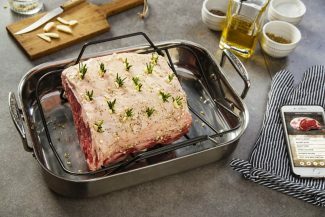 Among the challenges they cite: beef roasts aren't easy to prepare (19 percent), they don't know how to roast (14 percent), or they don't know which cut to use (10 percent). CAB's Roast Perfect app, free for both Apple and Android smartphones and tablets, is designed to give consumers the information they need to select the ideal roast and prepare it to the perfect endpoint. It includes a built-in interactive timer, which accounts for the particular cut of beef, its size and the desired doneness. The app prompts the cook every step of the way. "We want to help give consumers the information and confidence they need to start a new holiday tradition," said Tracey Erickson, vice president of marketing for the brand. "We understand that for some consumers, purchasing and preparing a roast can be daunting, so we want to set all cooks up for success. 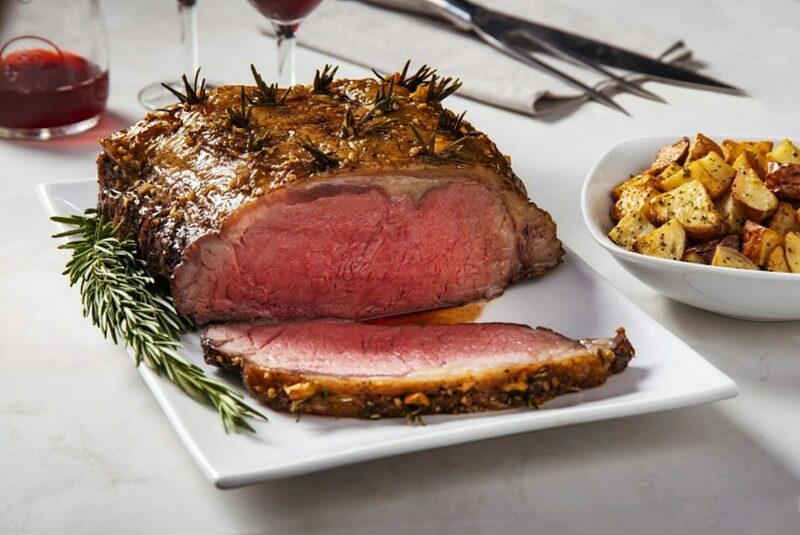 Roast Perfect is the result of extensive real-world research by our culinary team. It's a foolproof way for any cook to choose and prepare the perfect roast for their table." 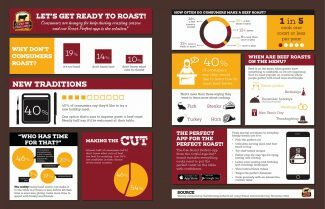 •Select a Roast: from a tenderloin to rib roast to top round, users can choose a cut (descriptions are included) and the total number of people to be served. 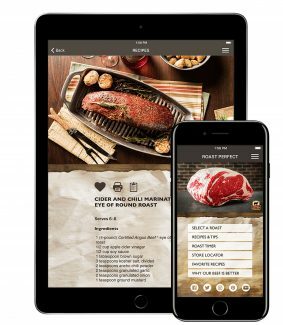 The app then calculates the amount of beef to buy, as well as selected recipes for that cut and side-dish pairings. •Recipes and Tips: browse recipes by roast type or search keywords. Learn how to choose a roast, tie a roast and carve a roast. A degree-of-doneness guide illustrates how to achieve the perfect cooking time. •Roast Timer: Simply select your preferred cut, weight and desired degree of doneness, and the interactive timer is customized for a perfect result. Just click, cook and enjoy with no guesswork.